The Cobble Street Cousins series by Cynthia Rylant has a sweet, old-timey feel - with everyday things making the stories, and nothing really upsetting happening. 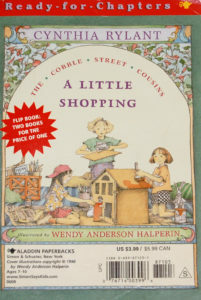 These books are great for newer readers who are ready to tackle chapter books (around 55 pages), but still enjoy having smaller illustrations on most pages. The series has at least 5 books. I'll discuss the first two here. 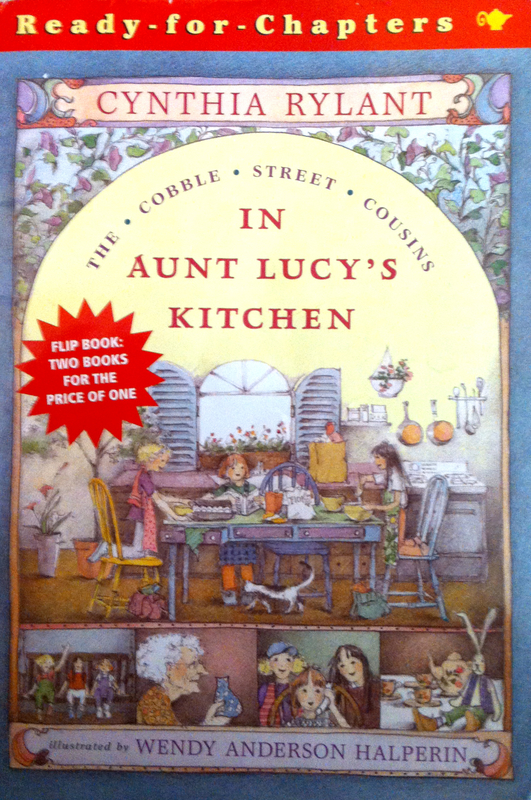 In this first book of the Cobble Street Cousins series, readers meet Aunt Lucy and her three nieces. The girls' parents are touring the world with the ballet (the parents are dancers), so the girls are staying with their Aunt Lucy for a year. This seems like a good arrangement for everyone. The cousins (all 9 years old) are good friends - their very different personalities seem to compliment each other. Rosie is sweet, likes stained glass windows, paper dolls, and crafts. Her twin sister, Lily, likes to write poems, collects stuffed animal bunnies, and wants to be a writer when she grows up. Their cousin, Tess, is outgoing, loves to sing (and has a good voice), has a cat named Elliot, and wants to be a famous singer when she grows up. Aunt Lucy is warm, friendly, and fun - and enjoys spending time with her nieces. Aunt Lucy owns a flower shop around the corner from her comfortable, old house. 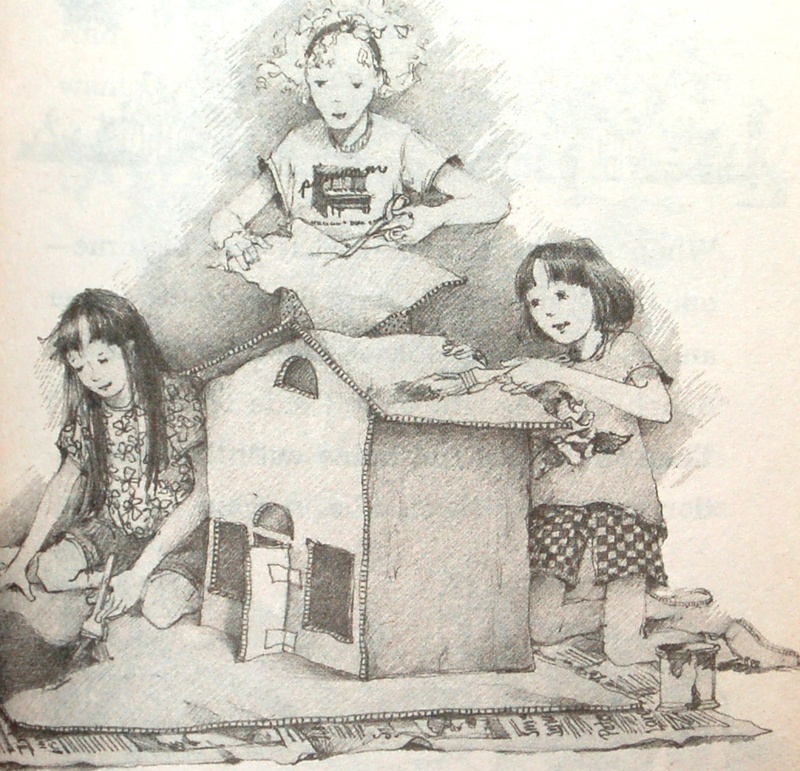 The cousins live in Aunt Lucy's attic. They each have a room (created by hanging quilts or folding screens), and have a big area they call the playroom - with blankets and pillows spread on the floor - that has stuffed animals, books, and paints. 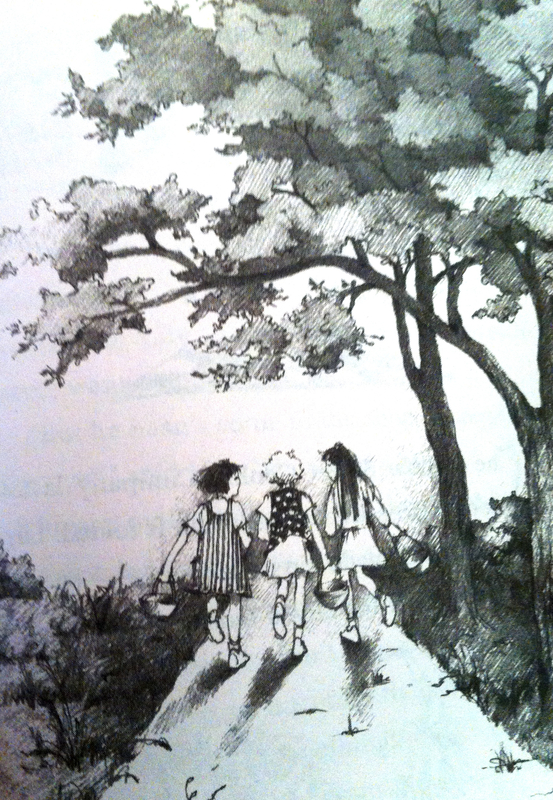 Through the cookie company, the cousins meet Michael, who becomes Aunt Lucy's beau. They also meet Mrs. White, a friendly 90 year old woman. They hold a performance and tea for their new friends. The cousins decide they need a fun project to do after school. 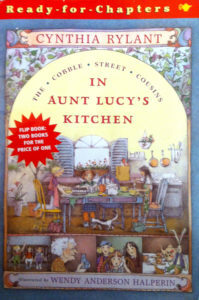 Lily suggests they make a model of Aunt Lucy's flower shop as a surprise gift for Aunt Lucy. The others love the idea. They make a plan, gather materials - and make a trip to The Olde Craft Shoppe for the little things they need to furnish and decorate the flower shop. 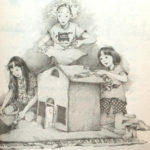 They have a wonderful time making the dollhouse-like version of Aunt Lucy's shop. And, of course, Aunt Lucy is thrilled with her surprise. The cousins are happily creative in making the gift. Other events include going out for ice cream and another trip to the craft shoppe. 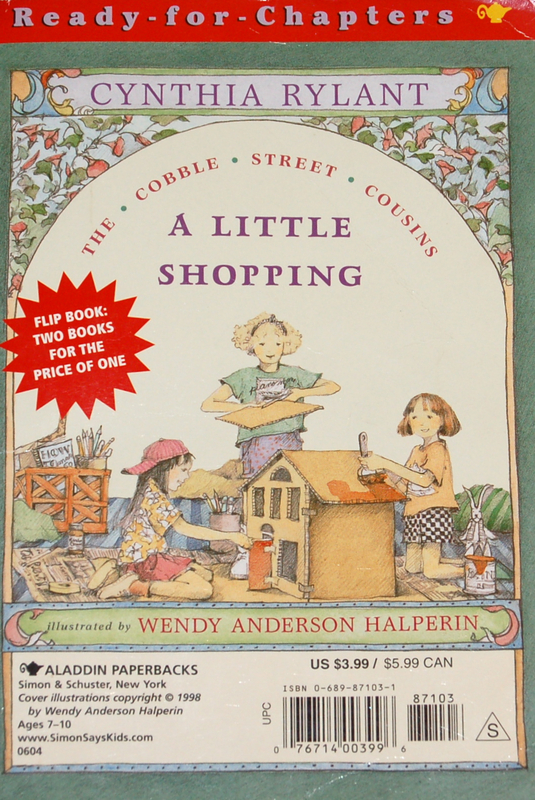 The books in The Cobble Street Cousins series deal with friendship, family, and small, fun adventures like having a cookie company or creating a model of a shop. 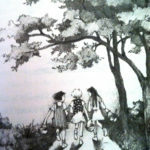 They are great books for young readers ready for chapter books.